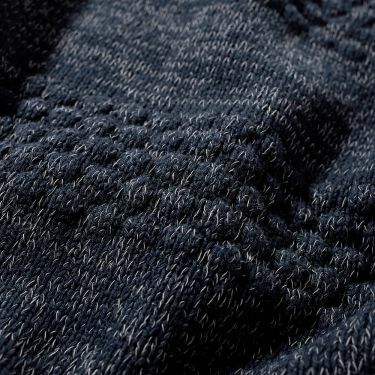 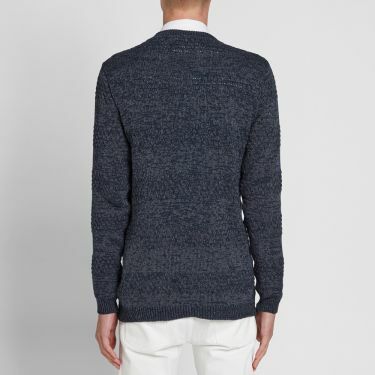 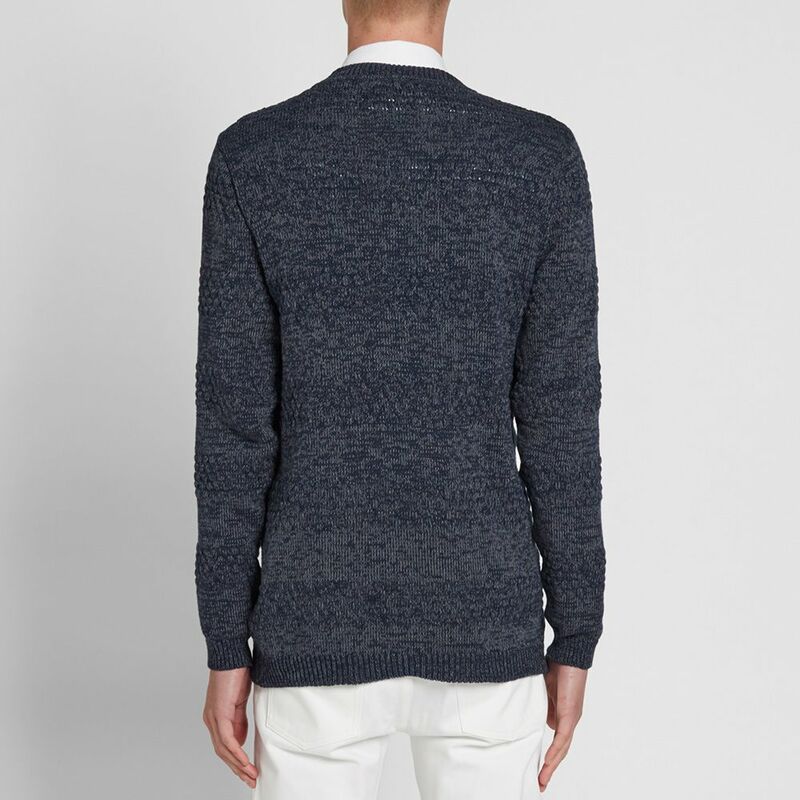 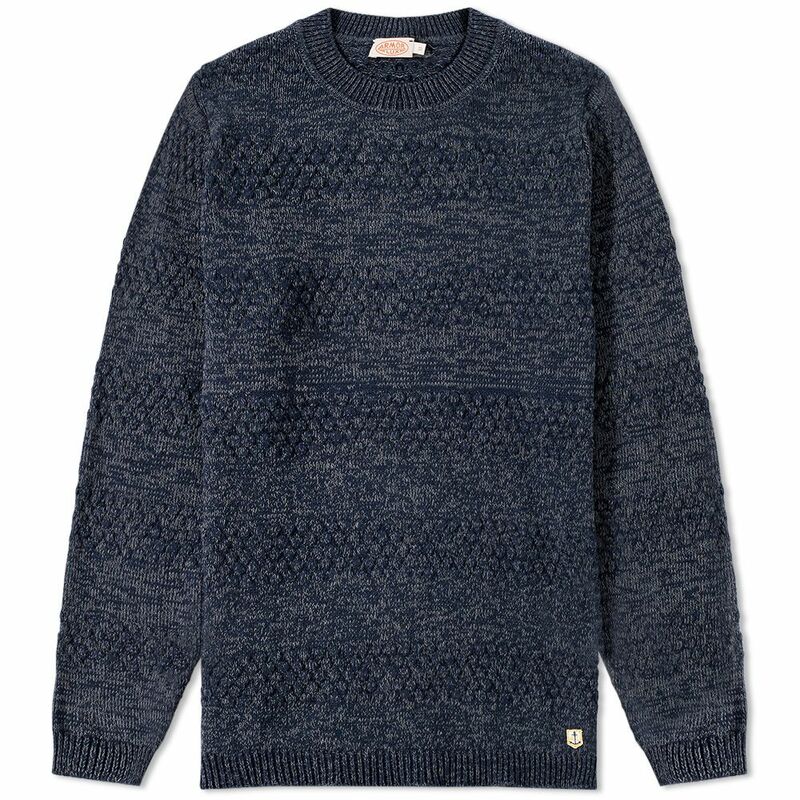 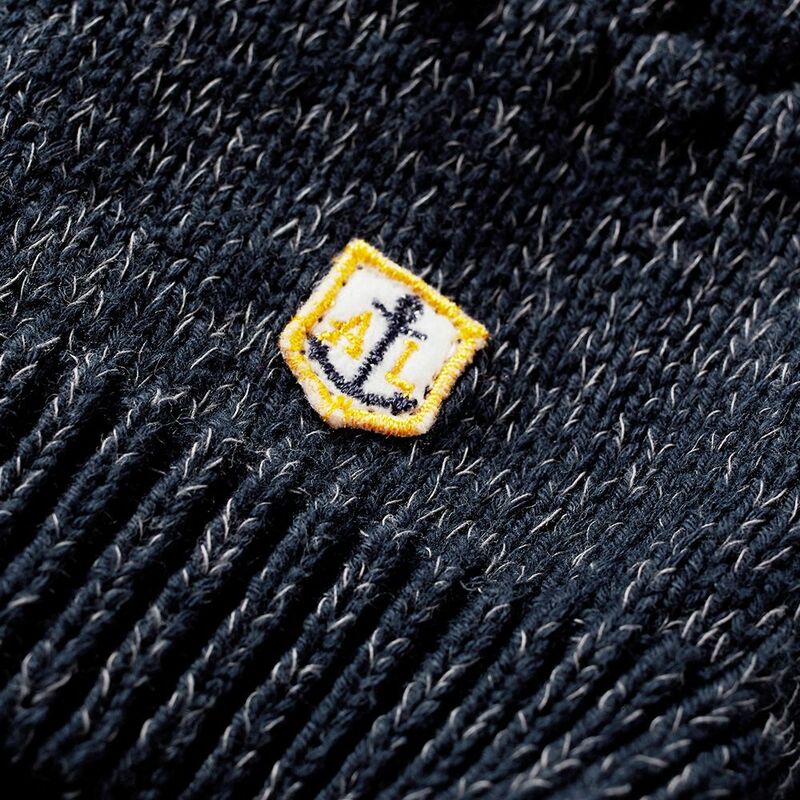 Armor-Lux's Marl Knit has been knitted from a cotton-blend yarn. 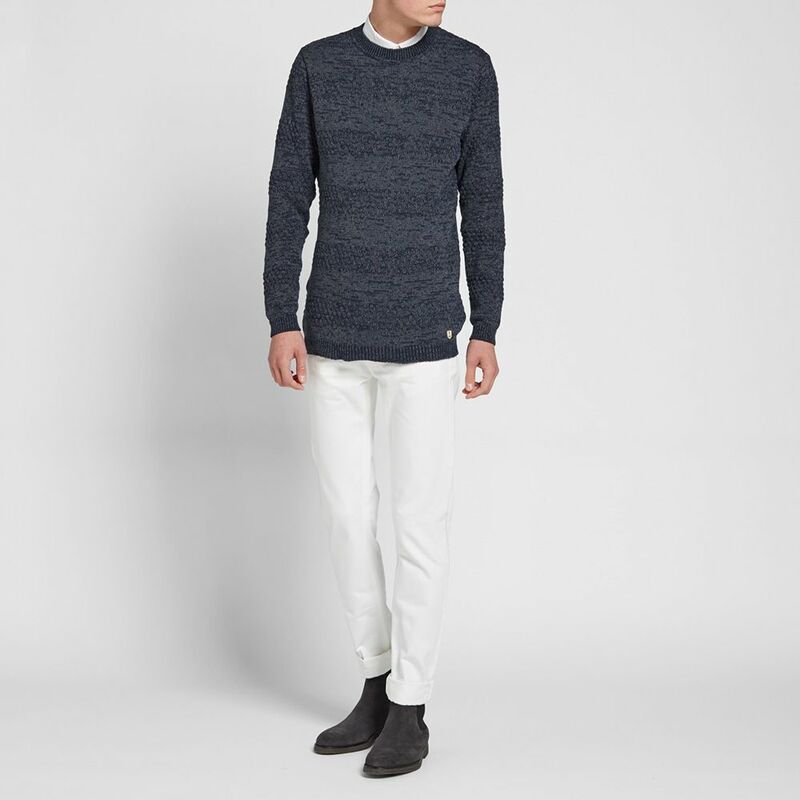 The knit features raised 'bubble' stripes throughout and comes finished with a ribbed crew neck, cuffs and hem. 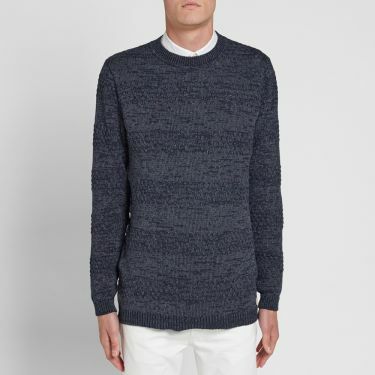 Model is 6'1"/186cm with a 35"/89cm chest and wears size 2.